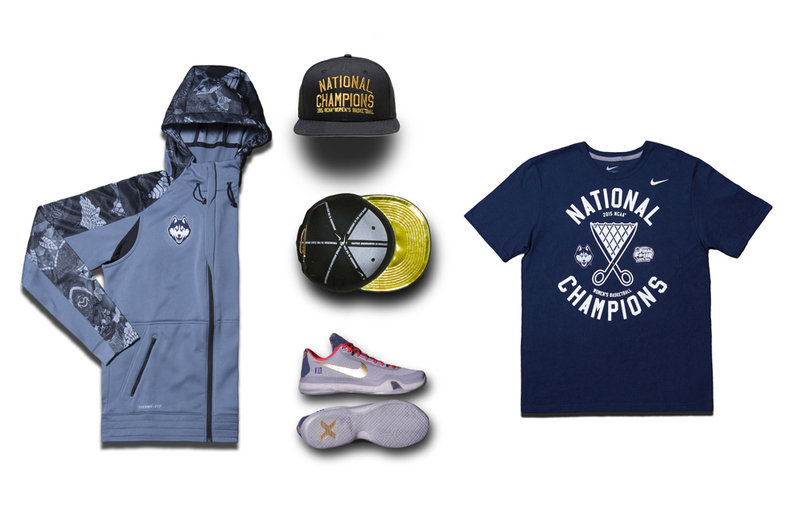 Nike Basketball is celebrating the University of Connecticut's women's basketball team's historic 10 championships with this special take on the Nike Kobe 10. 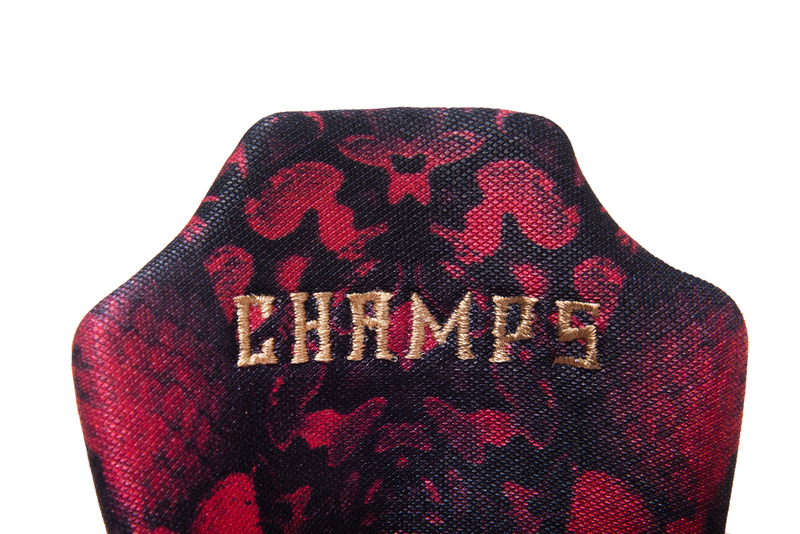 The sneaker wears a distinct Huskies colorway, and makes use of the embroidery under the tongue to denote the year the squad won its tenth, with "2015 Champs" spread out between the left and right shoes. 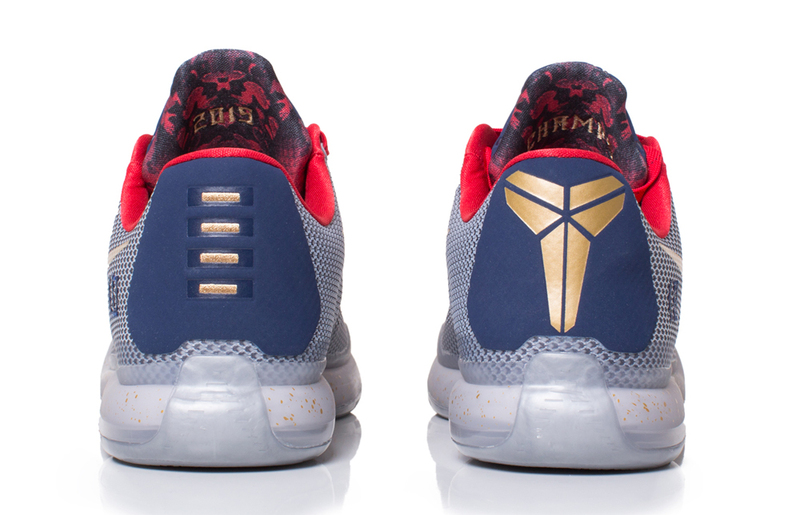 The Kobe X also plants a 10 on the sides of the sneakers. 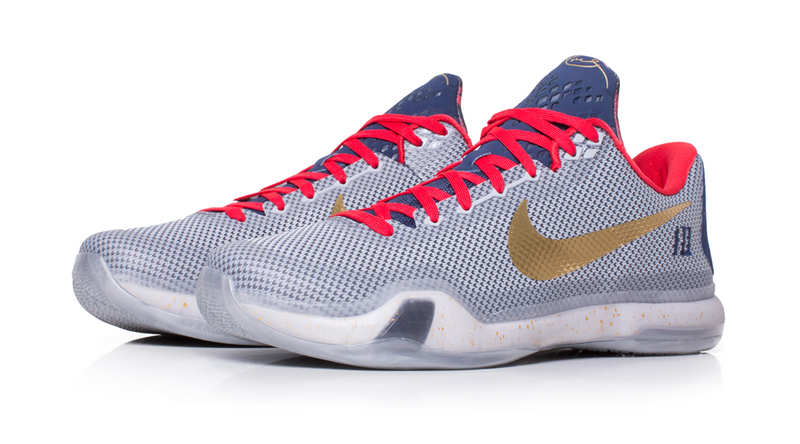 The good news for UConn fans is that this Kobe X isn't a true player exclusive. 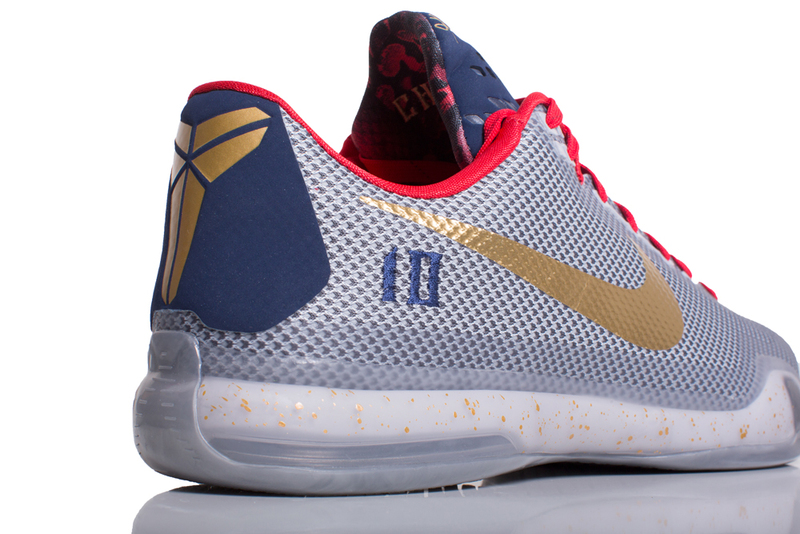 In fact, the exact design can actually be created and purchased on NIKEiD.